A couple of days ago a box of butter arrived on my doorstep from my dairy farmer in-laws Cathy and Jamie Tait-Jamieson. Cathy and Jamie have a micro dairy factory on their farm where they produce Biofarm yoghurt with milk from their own cows. 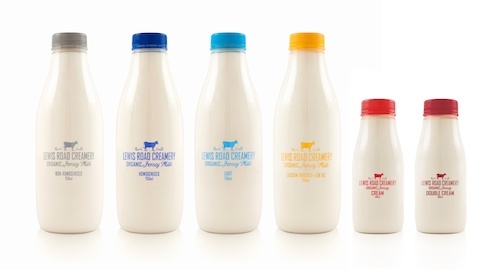 They are also one of a number of organic farmers whose cream goes into the making of Organic Times butter. The delivery of several kilos of the stuff was a not too subtle reminder that I had promised to come up with a recipe to promote said butter. 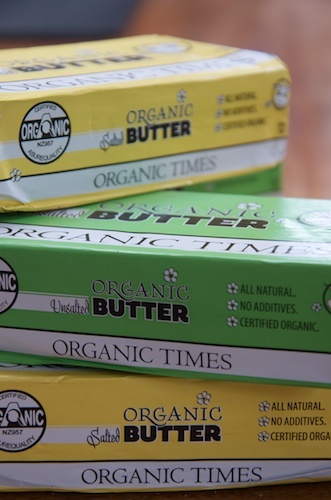 I love butter, and I particularly like this butter – it’s organic, fresh tasting, creamy and not too heavily salted. I will happily put it in everything I cook but my brief was to provide a single recipe in which butter was the hero ingredient. I considered beurre blanc and then butterscotch but finally settled on shortbread. In it’s simplest form, shortbread is 3 parts flour, 2 parts butter and 1 part sugar. There are variations – substituting a bit of rice flour makes the biscuit crisper, cornflour gives it a softer melting texture, and then you can add, chocolate chips, vanilla, lemon, whatever – but a good shortbread biscuit is entirely dependent on the quality of the butter. It’s the difference between shop bought and homemade. 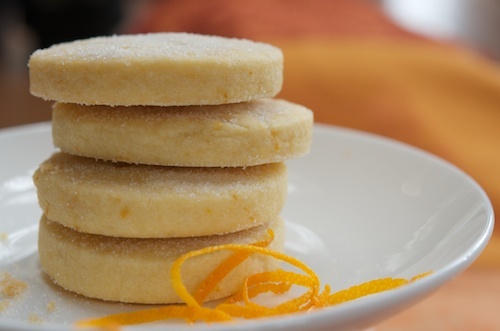 So I spent this weekend baking and came up with the following recipe which delivers a melt-in-the mouth biscuit with just enough orange zest to add interest without taking attention away from the butter. I’ve used unsalted butter and added a small amount of salt to the recipe. This might seem to defeat the purpose but some butters are more salty than others and this way gives more control. Line 1 large or 2 small baking trays with baking paper. Beat butter and sugar together until smooth and creamy. 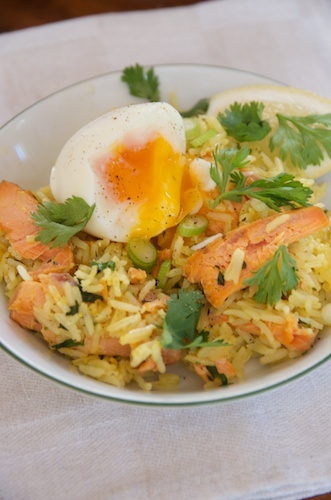 Beat in orange zest. Sift together plain flour, cornflour and salt. Add to butter mixture and combine gently using hands. Form into a disc shape and roll out to 1 cm thickness. Use a cookie cutter to cut out circles or other shapes. Place on baking sheet, prick with a fork and chill in refrigerator for 15-20 minutes before baking (this helps them keep their shape). Bake in preheated oven for 25-30 minutes until lightly coloured. Remove from oven and allow to cool for a few minutes before sprinkling with caster sugar. Transfer to a rack. 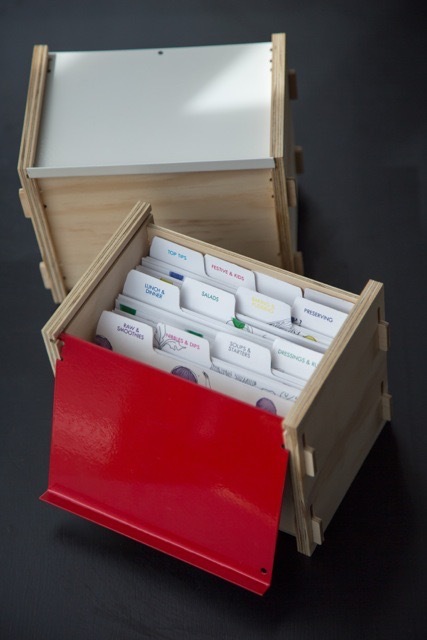 When cold store in an airtight tin. 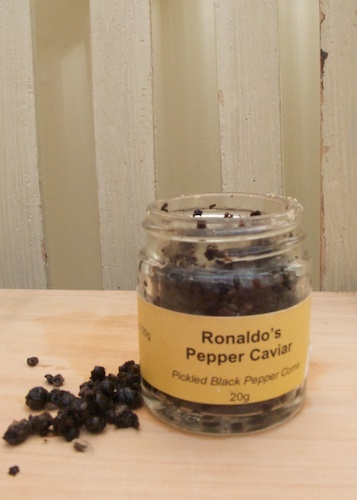 Ronaldo’s Pepper Caviar is a new one on me. Green peppercorns, pickled in brine, have been around for a while – I’m old enough to remember dinner parties where we dressed steaks in a creamy green peppercorn sauce. At the time it was a new take on the old pepper steak where the meat was dredged in so much coarsely crushed black pepper it wouldn’t have mattered what you were eating so long as you had a big jug of water to wash it down. Ronaldo’s are dry-pickled black peppercorns, grown in Sri Lanka by his friend Pani. Black peppercorns are usually picked under-ripe, naturally fermented then dried in the sun. These ones have been lightly crushed, packed into rock salt then probably aged for some time. In Wellington they are repacked into tiny jars and sold with a cute little spoon. Ronaldo labels his condiment ‘pepper caviar’ on account of the colour and the saltiness of the soft little corns that don’t so much pop, as crunch pleasantly in your mouth. 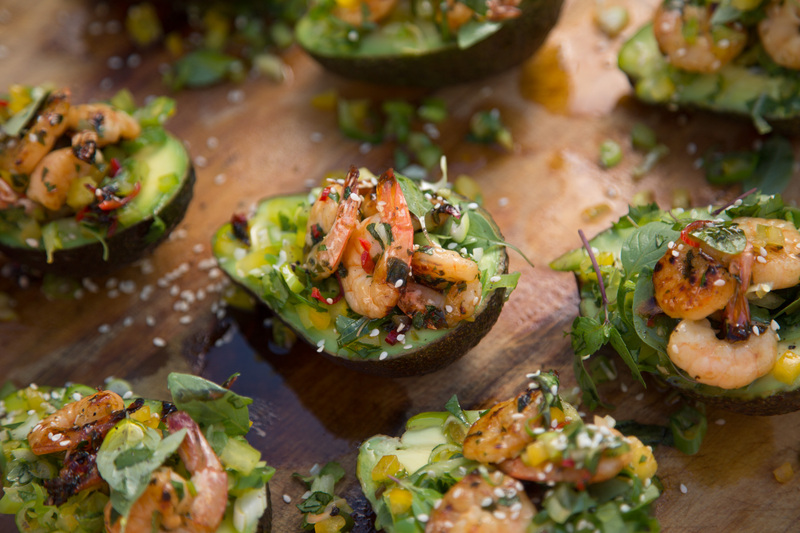 Not that you’d eat them like caviar, but you get the idea. Ronaldo says Sri Lankan pepercorns have a 15% higher oil content than those grown elsewhere. I’ve no idea if that’s so but they do have a lovely aromatic flavour that goes well with just about anything. 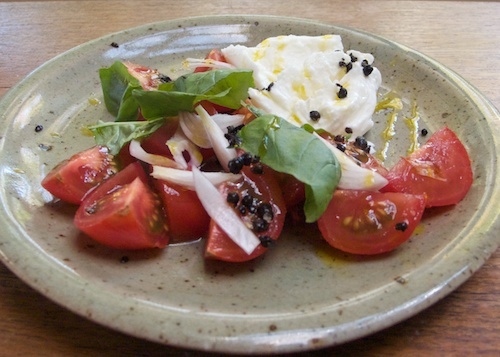 I’ve been dropping them on to late season tomatoes dressed with olive oil and balsamic; they are brilliant with buffalo mozzarella and I’d like to try them with strawberries.